E3 is not about Xbox and PlayStation alone – there’s PC as well. Hence, it might be the very reason why Alienware choose to unveil their new line of gaming laptops over at the event. Just as their name implies, the new Alienware laptops comes in three different sizes: Alienware 14, Alienware 17 and Alienware 18. 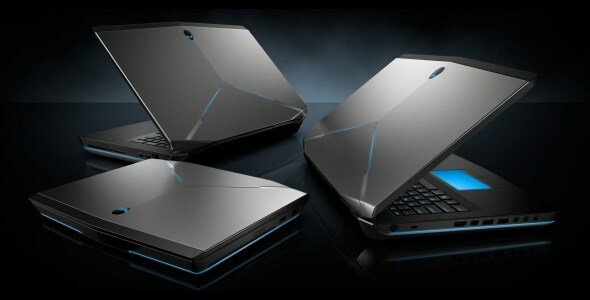 The actual specifications varies from model to model but in general, these new Alienware machines are powered by the new 4th generation Intel Core i7 processors (a.k.a Haswell) as well as NVIDIA GeForce 700M graphics. Apart from the new hardware, these new Alienware laptops apparently comes with metal chassis but dimension-wise, it still looks pretty thick just like previously released Alienware laptops. As expected, tons of LEDs are equipped into the laptop such as the keyboard, touchpad and the signature alien head logo. Additionally, those lights can be programmed by game developers to actually response according to in-game events. We expect to see all these new Alienware machines at their own Malaysian launch event this coming Thursday, so hopefully we get to do some hands-on and talk more about them by then.